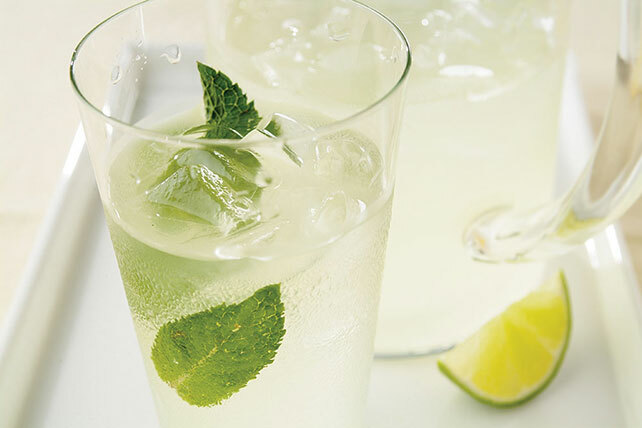 Get together with your friends and prepare this Easy Mock Mojito recipe for an entertaining evening. Follow the steps and have it ready in 10 minutes! Place mint and drink mix in 3-qt. glass or plastic pitcher. Use back of spoon to crush mint to release its flavor. Add remaining ingredients; stir until drink mix is dissolved. To make ahead of time, crush mint in pitcher with drink mix as directed. Add water; stir until drink mix is resolved. Refrigerate up to 24 hours. Add remaining ingredients just before serving.